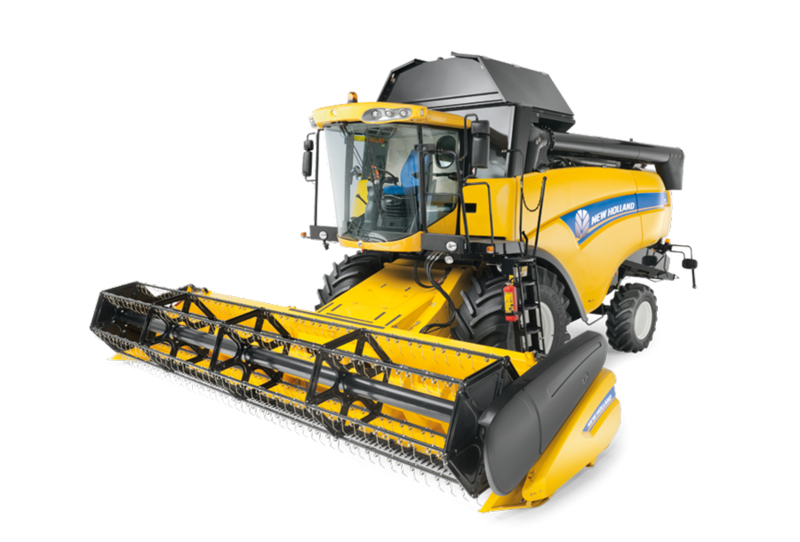 A powerful crop flow from the very beginning: the large diameter reel,with easy reel adjustments, the aggressive knife action and the retractable fingers over the full intake auger width, ensure consistent crop feeding right from the start. 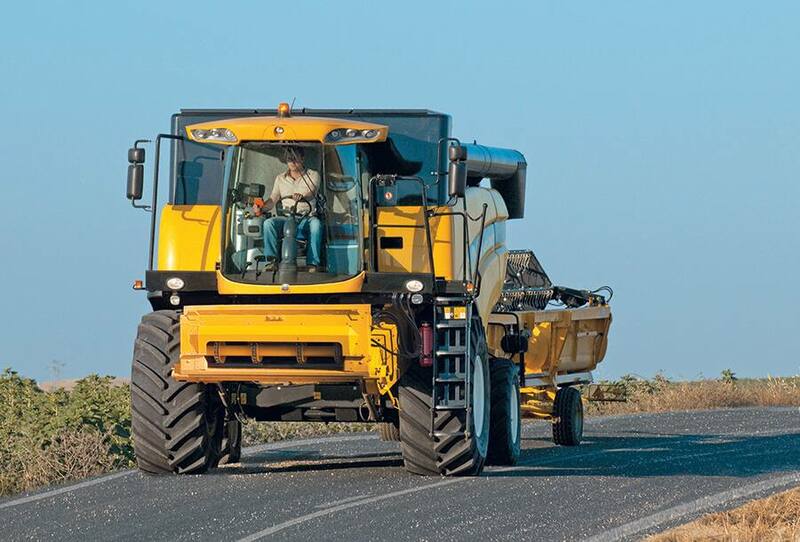 No valuable time is wasted with the quick header coupling system and the trouble-free clearing of blockages. 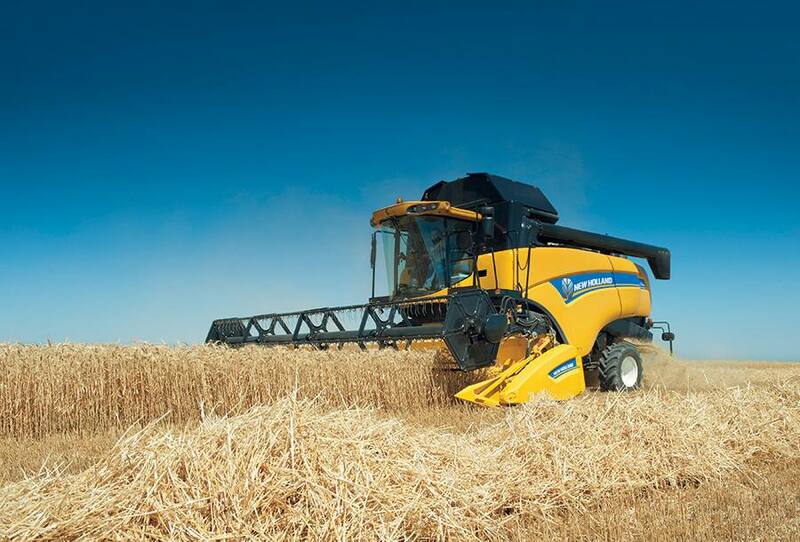 To better cope with high crop volumes and long straw crops, the forward knife position of the Extra-Capacity Grain Header creates a larger feeding area. 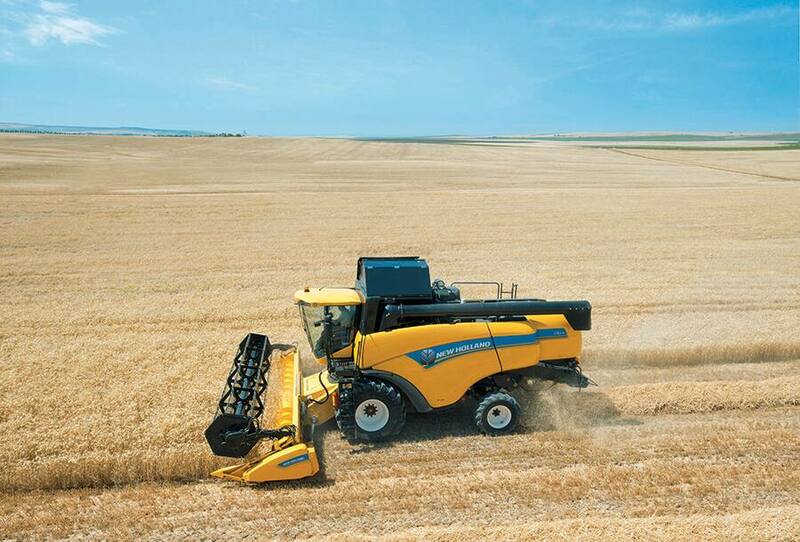 For added reliability and performance, the reel is driven hydraulically. 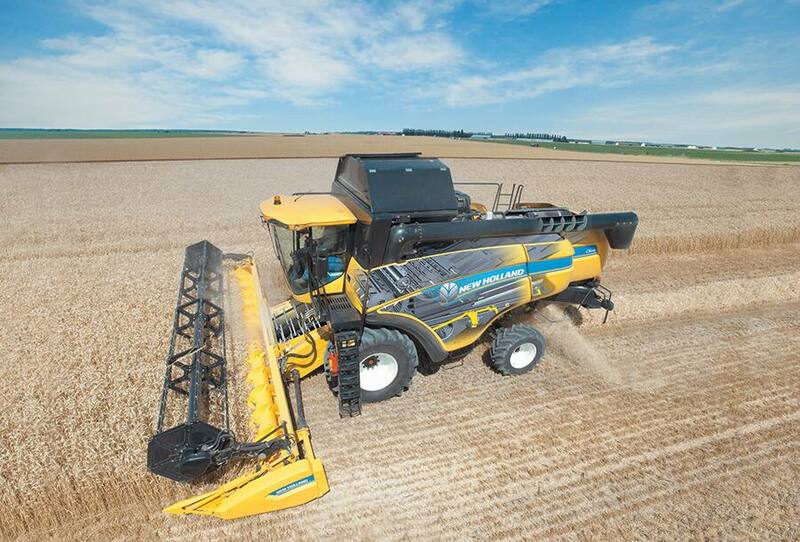 To work with the optimum header configuration in any particular crop, the knife position on the Varifeed™ Grain Header is adjustable. 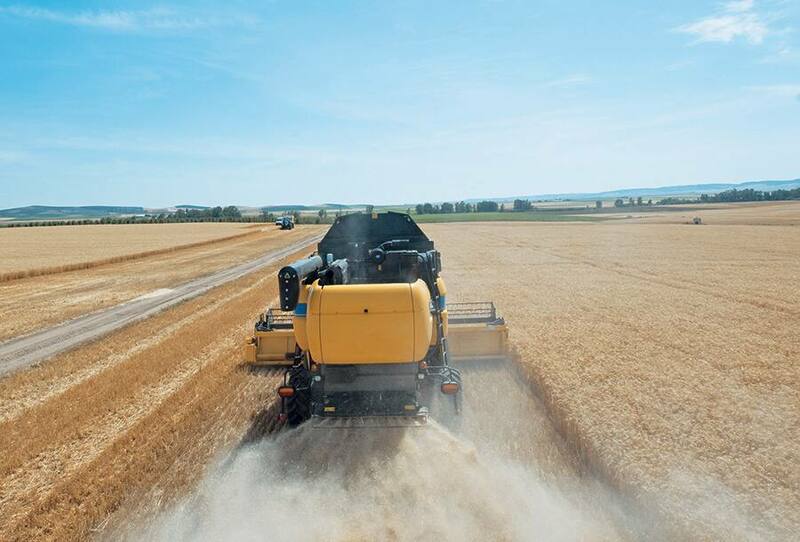 The fore-aft adjustment reach of 500 mm allows ideal knife positioning and ensures top cutting efficiency and correct feeding whatever the circumstances. This electro-hydraulic adjustment is made from the cab and the header bottom is closed in all knife positions. 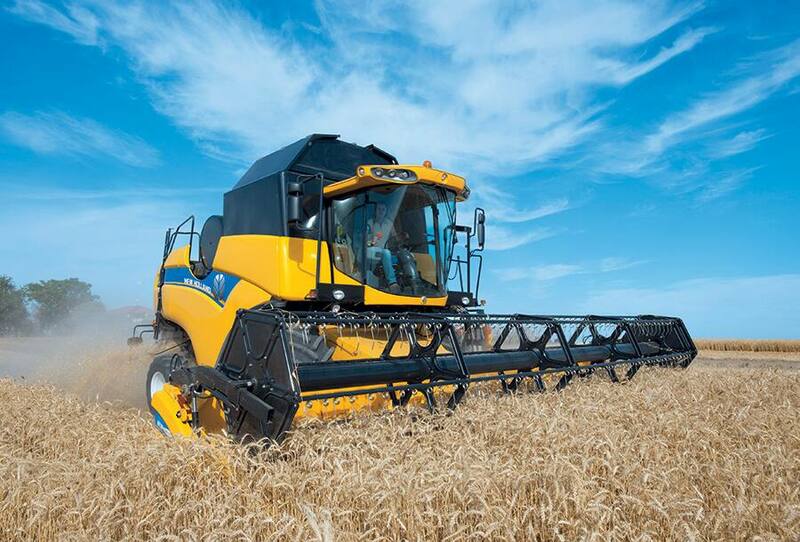 Five-, six- and eight-row high performance New Holland headers are part of the offering for a professional maize operation. 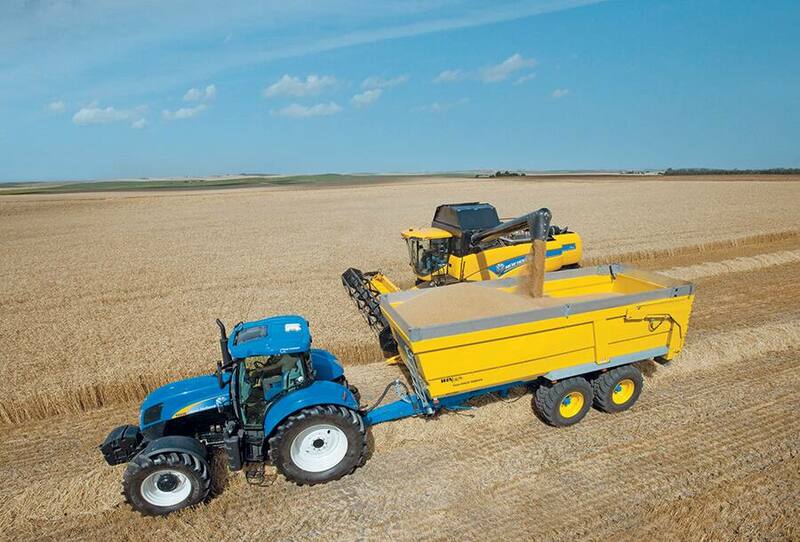 Both the rigid, or where road transport is an issue, the flip-up versions are designed for top harvesting performance in varying crop conditions. 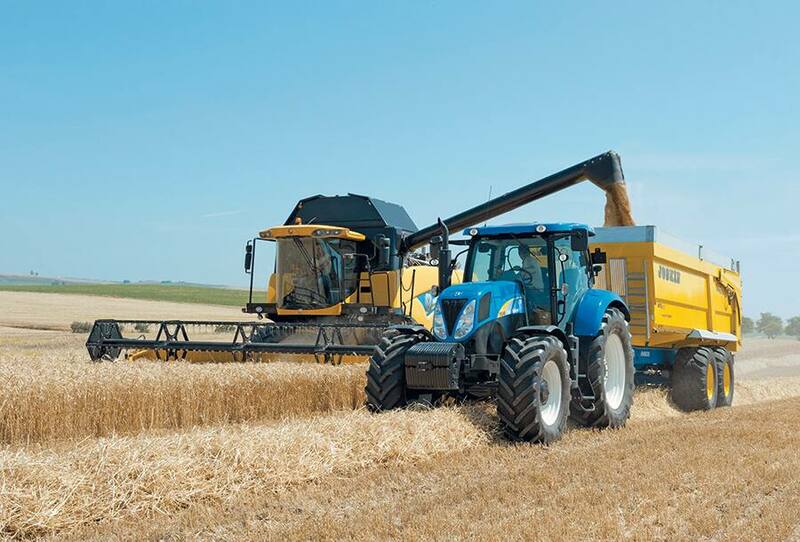 The stalk rolls have 4 knives for aggressive pulling down of any size of stalk and the deck-plates are electrically adjustable from the cab, to adapt to changing stalk and cob size. 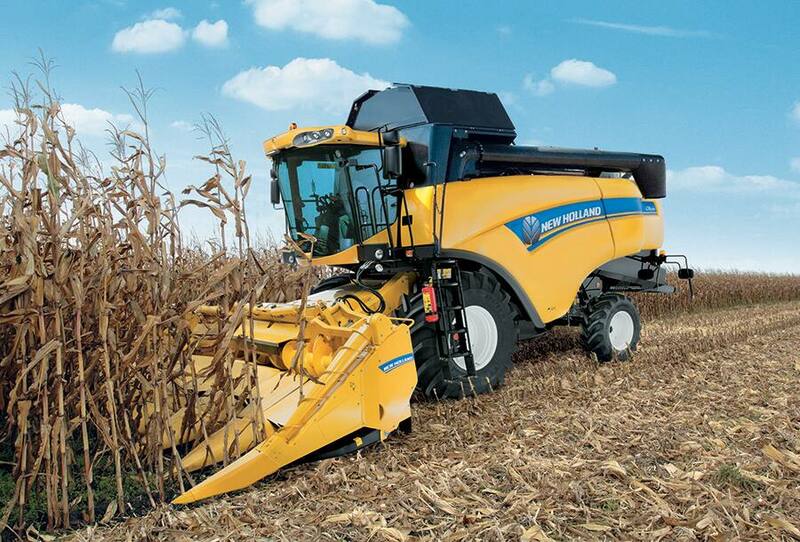 Optional rotary dividers add to the smooth crop intake in fallen maize crops. 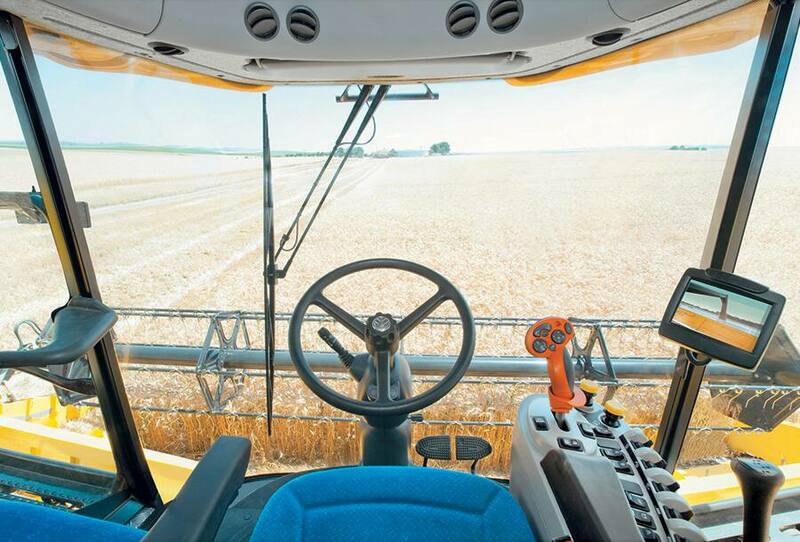 For maximum header positioning accuracy in rolling conditions, the optional Autofloat™ II system corrects the “exaggerated weight signal”. 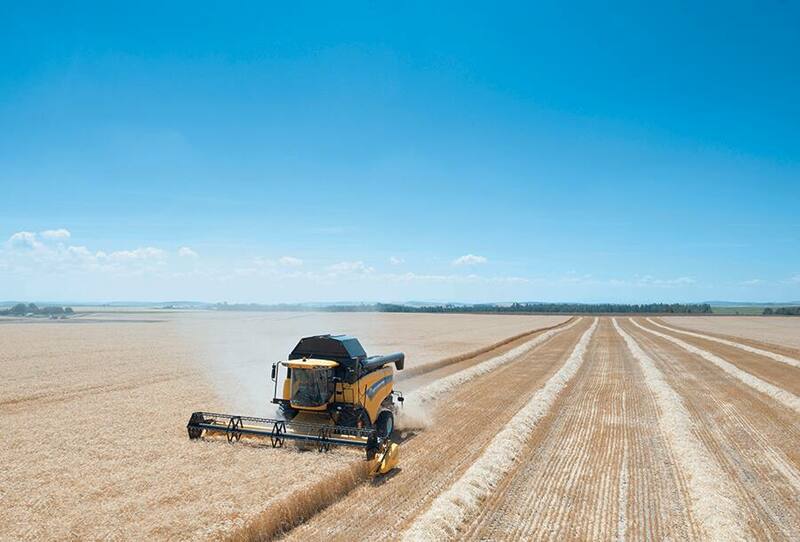 This feature avoids header bulldozing when working downhill and maintains correct stubble height when working uphill.